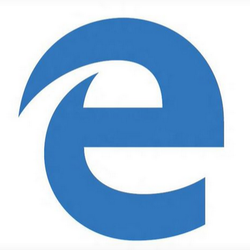 Microsoft has revealed the final name for its new browser, previously known as Project Spartan: Edge. SitePoint has a hands on preview, and some people think things are hiding in its new logo. Aaron Ladage looks at the HTML elements whose styling can cause even the best of us some issues: form input elements. “While not as fierce as battles of yore, input types are the cause of a new small-scale browser war,” he laments. A new tool used to create hosted Web applications based on a W3C Web App manifest on multiple platforms using Apache Cordova as a polyfill where hosted web apps are not supported. A way to create menu-bar/tray-based apps using only Web technologies. An object called quark is exposed to access system functions. A Windows version is on the way next. A well produced online book. A nice way to get code for some unusual gradients quickly. Provides the back-end services and infrastructure for multiplayer HTML5 games. Two mountains read out tweets to each other in an odd way. I’ve spent more time on this than I should have.. Follows Google’s Material Design guidelines and the latest Web standards generally.